12:00:01 a.m., Nov. 1. The holiday season descended upon the world, coming for those still dressed as superheroes reveling in a sloshy Halloween stupor. It came for the victims of sugar crashes long ago tucked safely into bed. It came for the welcoming masses and the bah-humbuggers alike. The holidays wait for no man, woman, or child. Treat your friends — or yourself — to a Utah craft beer perfect for the season. Hallmark movies set in seemingly alternate universes air 24/7. Ear-worm Christmas songs must be played, lest someone buy consumer goods without being caroled by the electro-pop bells. Not a moment can be lost, not a smidge of commercialized cheer wasted. The whole thing could drive a person to drink. Luckily, the holiday season ushers in more than merry music. 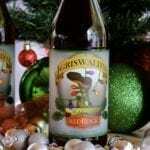 Riding in on the wreaths is also an abundance of holiday and winter beer. Some with the spices and smells of holiday treats. Others dark as the night that drapes the world earlier and earlier every evening. But most are big and thick and boozy — just as good as they are necessary. 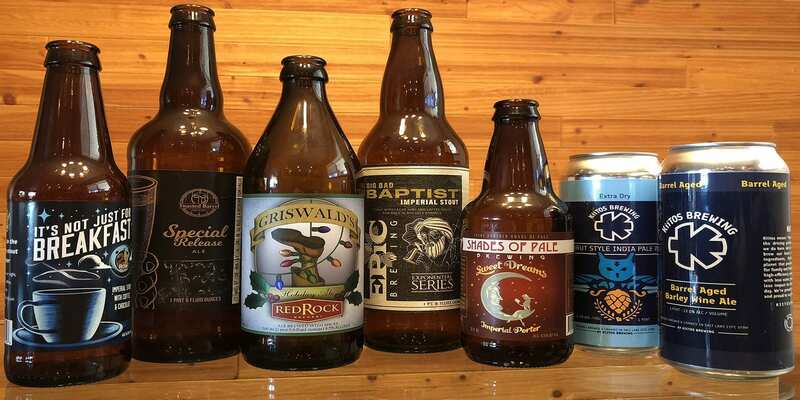 ‘Tis the season for Utah holiday beers that are activities unto themselves. With their layers of flavors and copious amounts of alcohol, they are here to be sipped, savored, and discussed. They pair well with a fire, a blanket, and some friends huddled inside to avoid the cold. 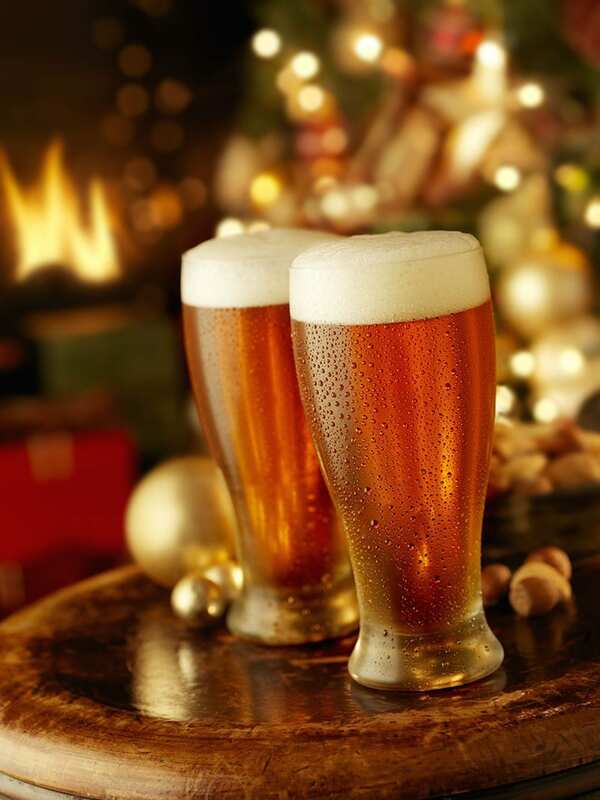 Holiday beers are truly a gift that warms you from the inside. And they might even be the boozy buddy you need to survive yet another holiday family gathering. So, if there’s a silver lining to the continual holiday creep — first it came for Thanksgiving and nobody said anything; now it’s coming for Halloween — it’s the chance to start drinking some big, bold, beautiful holiday beers earlier and earlier. 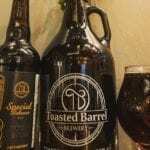 Check out a sampling of delicious Utah holiday beers available from a few of the state’s breweries. It’s already time for this Christmas classic? Are you serious, Clark? Indeed, Eddie. 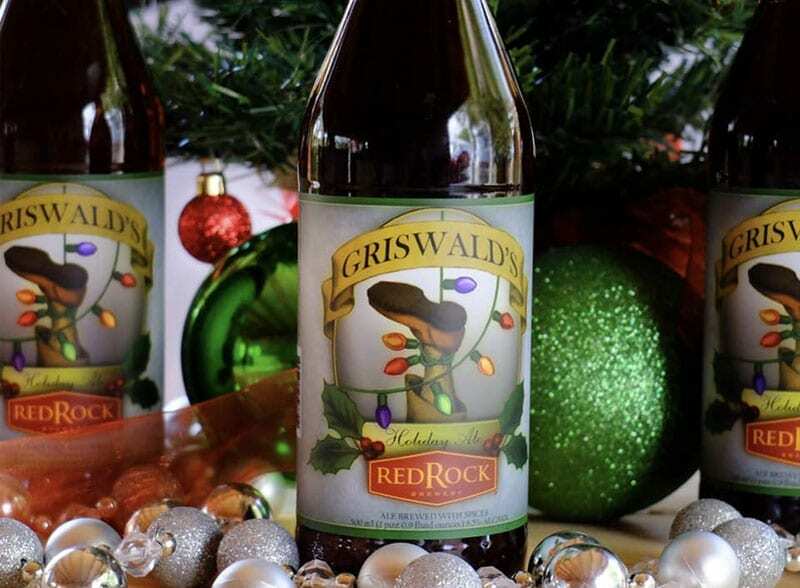 Griswald’s is a holiday season staple in Utah. And for good reason. Crack one open and your nostrils will be tantalized with holiday wonderment. The orange/copper-colored beauty has warming spices (clove, cinnamon, ginger), slight sweetness, and a hint of alcohol to warm you up. At 8.5% alcohol by volume (ABV), you know you’re drinking a bigger winter beer, but it’s not overwhelming or heavy. 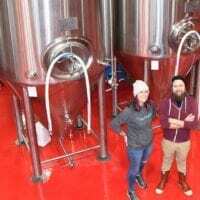 Bonus: Listen to the accompanying podcast episode where Dave Baker and Tim Haran sample and discuss seven Utah winter/holiday beers (yes, a bonus beer!). 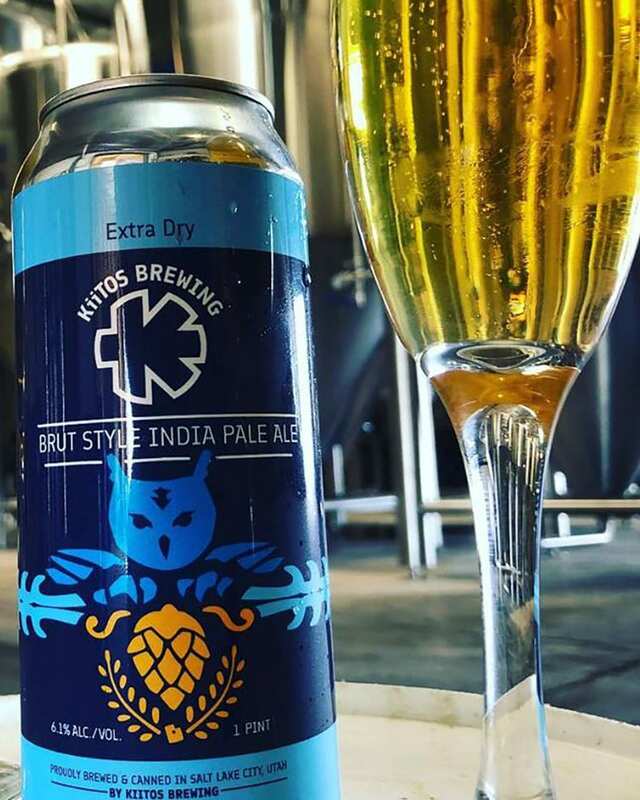 They also highlight a few Salt Lake-area beer events scheduled between now and the end of the year. 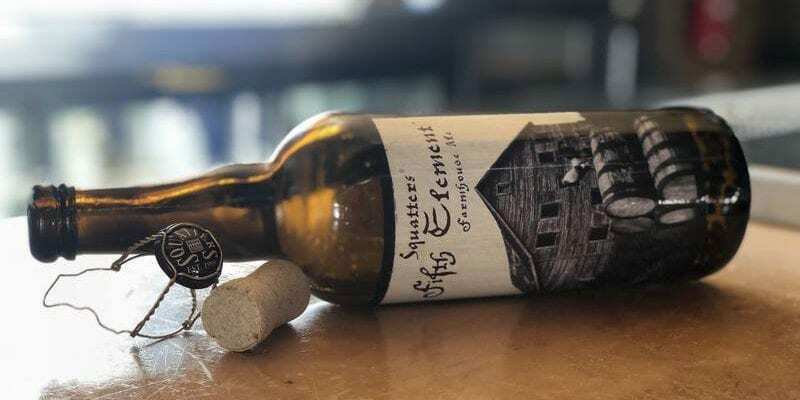 A sour beer might not be your first thought for the holiday season — or even winter, for that matter. But don’t leave the sours out in the cold in favor a more traditional stout or winter warmer. Young Bruin is a dark brown packed with moderately sour cherry notes that get wrapped in some caramel and chocolatey roast from the darker grain bill. The whole package creates the feeling of a nice cherry cordial candy with an approachable amount of puckering acidity. 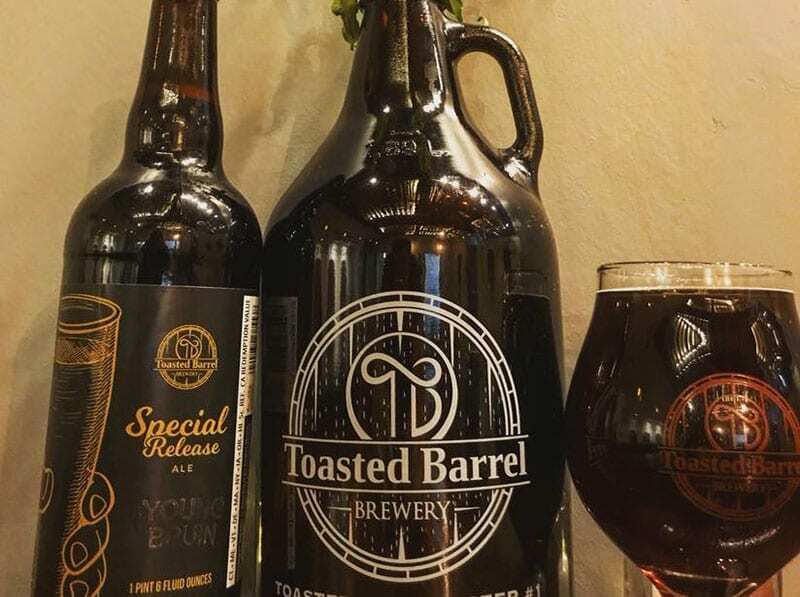 If Young Bruin is no longer available by the time your holiday party rolls around, Toasted Barrel offers a variety of other wintry beers that could fit the bill. 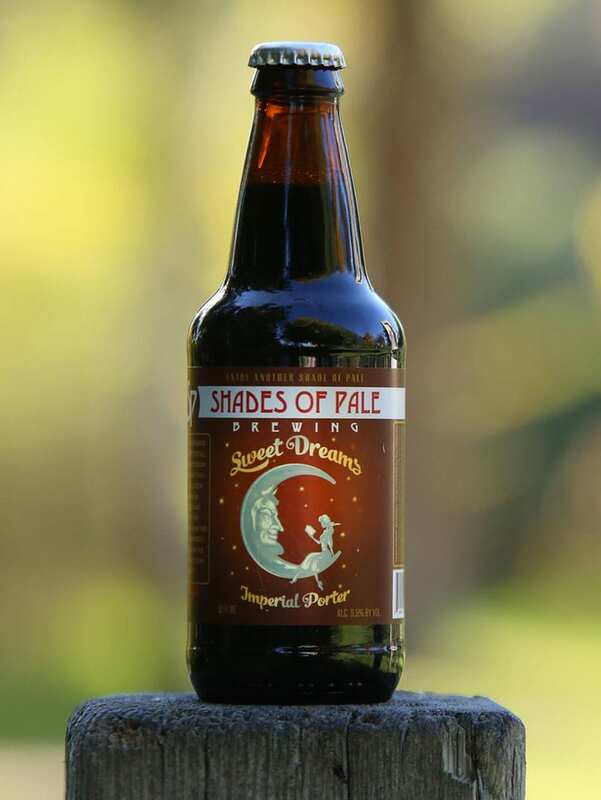 This 9% imperial chocolate bomb will tuck you in for the night if you’re not careful. It smells like sweeter dark chocolate, almost verging on fudgy milk chocolate. But the Sweet Dreams taste isn’t cloying. There’s a lot of bitter dark chocolate and some coffee bite in there for good measure. Most of that alcohol is hidden under the blanket of delicious chocolatey coffee goodness. So, snuggle up. This wonderful coffee concoction sure would be a nice topper on a weekend breakfast. That’s because 2 Row has really focused on the java in this super-drinkable stout. It’s Not Just For Breakfast smells like a strong iced coffee and drinks like a smooth, creamy cup of joe made with primo beans. Coffee lovers will pick up the chocolate roast notes right off. But there are even some fruity coffee undertones that make this surprisingly lighter-drink beer an interesting sipper any time of day. One of the biggest, baddest (oh, I get the name now) beers around. 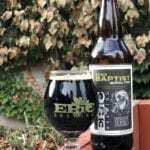 Epic packs their super-popular, highly rated Big Bad Baptist imperial stout with coffee, cacao nibs, and whiskey-barrel flavor. 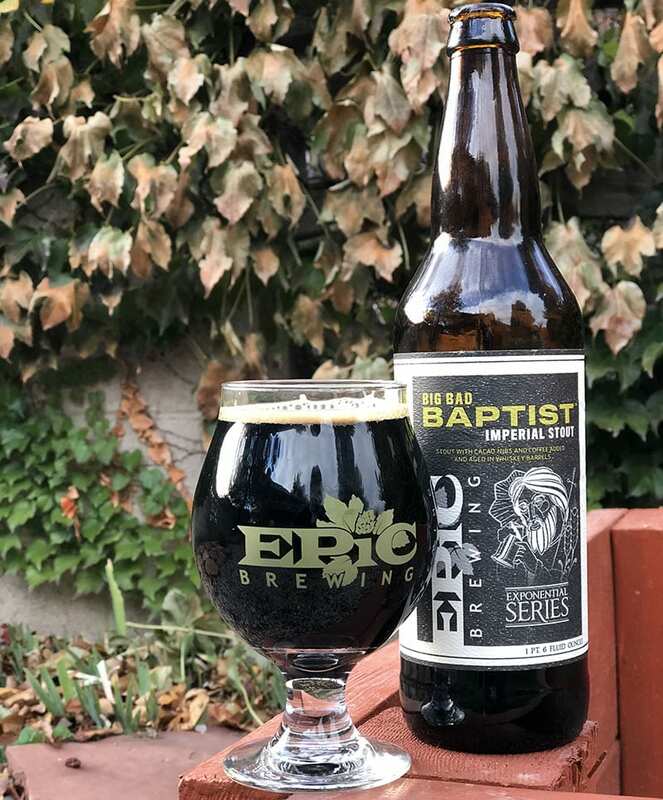 There are several variations now, but the original Baptist is still a treat. It dunks you into big whiskey, roast, and oak-barrel notes right away. The complexities of vanilla, bitter chocolate, coffee, and maybe a hint of cherry and char, are drenched in warming alcohol. For some (me included) there’s never a bad time to break out the barleywine. This big, burly, old-English-style ale isn’t made with grapes. But you will get some candied fruit flavors to balance out the big ABV. Kiitos nails the “good fruitcake (yes, they exist) in a cup” thing that I love about this style. The malt highlights a toasted bread crust smell and taste. There’s also plenty of candied fruit — even some brighter maraschino cherry flavor — in each sip. And you get just enough of the oak barrel to let you know this is a beer that was truly cared for. 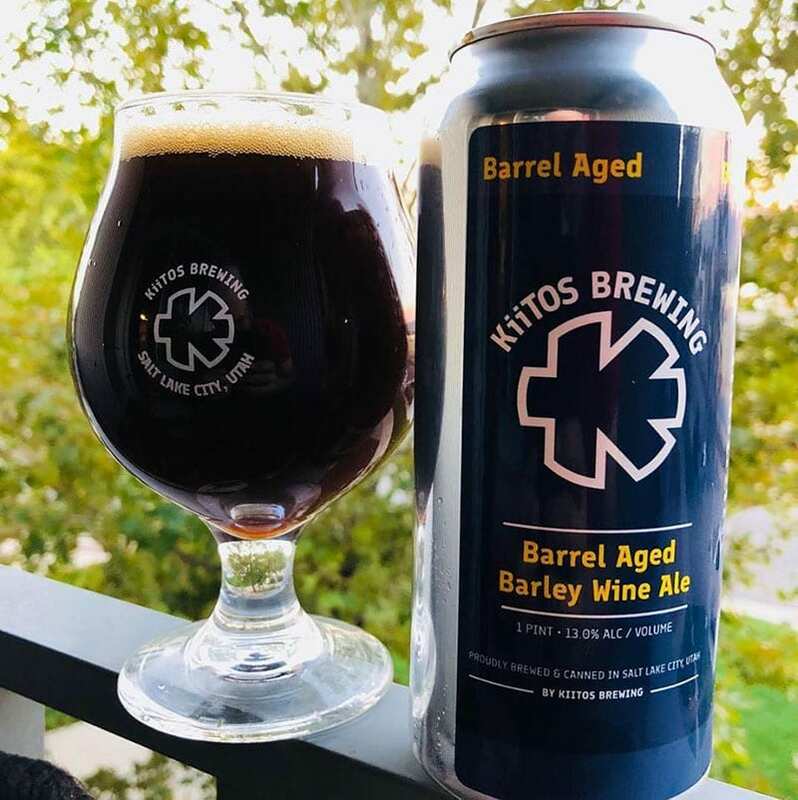 The ABV is massive, but the alcohol burn isn’t — there’s just enough to warm your belly and your spirits on a cold, winter night. Bonus beer to ring in the new year. Listen to the podcast episode to learn more. If the holidays already have your head spinning, sit down with a bottle of one of these delicious dark beers to calm your nerves and brighten your winter blues. You can reach for a porter, a stout, a winter warmer, a holiday ale, or a barleywine. You can’t go wrong unwrapping the big, complex flavors of the holiday beer season with your friends and family. Light up the comments section with your favorite holiday beers. Let us know what winter brews help you get through the colder and darker nights, the 132nd time you’ve had to listen to “Rockin’ Around the Christmas Tree,” and yet another ugly sweater party. 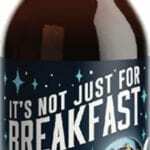 Label artwork/imagery © respective breweries. 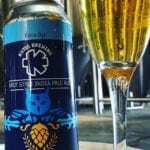 All beers featured in this article were purchased by Utah Beer News. 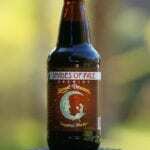 This entry was posted in Beer, Blog and tagged Holiday Beers, Winter Beers. Bookmark the permalink. Dave Baker is a longtime craft beer connoisseur and an award-winning homebrewer. 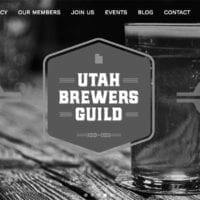 He also is a professional writer and editor and a regular contributor to utahbeernews.com.